Our series on New York continues today. 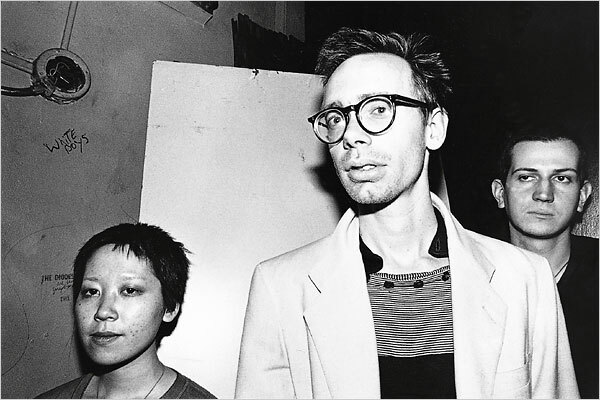 Brittany Julious takes on the No Wave scene of the late seventies and its many musical antiheroes. 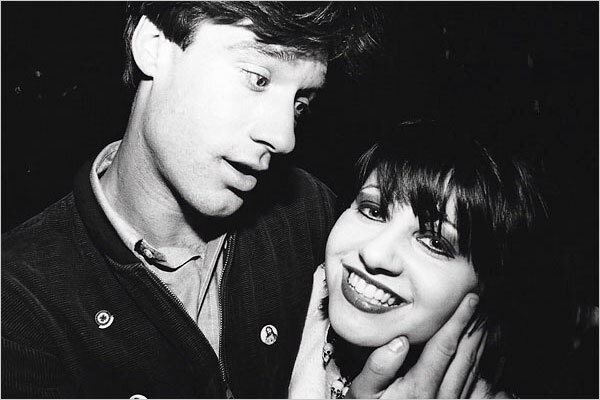 Lydia Lunch has wonderful cherub cheeks and a sparkling mouth - a sparkling smile - that draws you in. 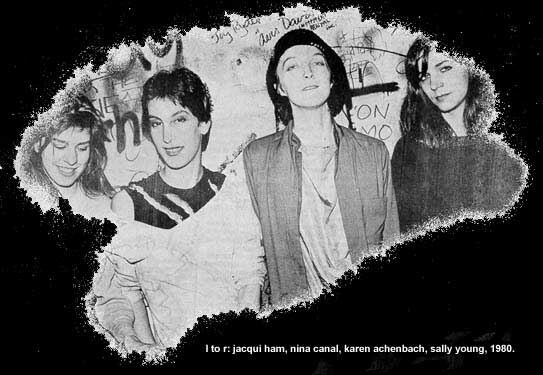 Looking at her picture - and this is about all I can tangibly connect to the icon besides a collection of mp3s - makes even the weariest of music fans feel enthralled by the all-too short New York City cultural movement of No Wave. That New York was a breeding ground of cultural entities: the gaggle of young things ripe with ingeniousness in the city was such that, although occasionally tragic, the music and emotional impact is still felt today. 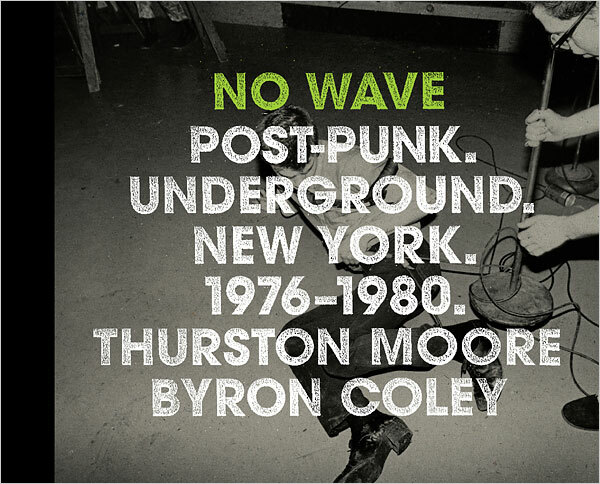 Thurston Moore and Byron Cooley's No Wave: Post-Punk. Underground. New York. 1976-1980 feels a tad overdue. The zeitgeist of this millennium's revived post-punk is effectively over, as the ambitious roaming the streets of the Lower East Side and Williamsburg relocated due to gentrification. The burgeoning music scenes are now situated in the spastic cornucopia of WHAM CITY and their friends in Baltimore with the likes of Dan Deacon and Blood Baby, or in the spritely all-ages scene of The Smell with No Age, Mika Miko and HEALTH. Interpol and Yeah Yeah Yeahs released albums on major labels. The creativity is still there, I'm sure, but the scene, if there ever was one, is a mere fraction of what it once was. With that said, the book as a tangible object and not as an arbiter of the re-emergence of a long lost music genre, is invaluable. The photographs (most have not been published previously) are shot in black and white and their compositional simplicity works strongly against the visceral punch of the musicians in the images. 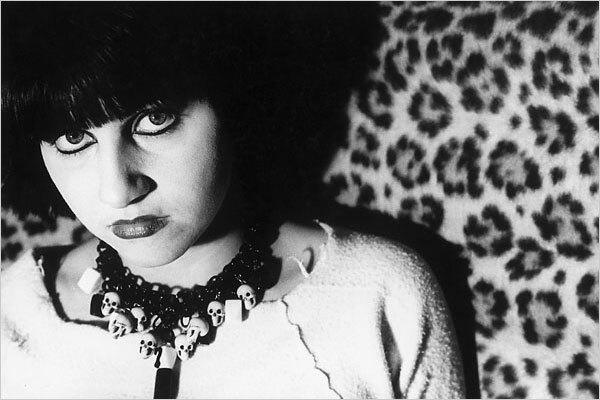 Lydia Lunch is aglow – her face wrapped around the bony fingers of Lance Loud – and appears innocent and suburban. Her demeanor is positively sweet. In its truest form, the snapshot works as a means of capturing a moment in time and giving the audience the ability to re-live said moment whenever they please. 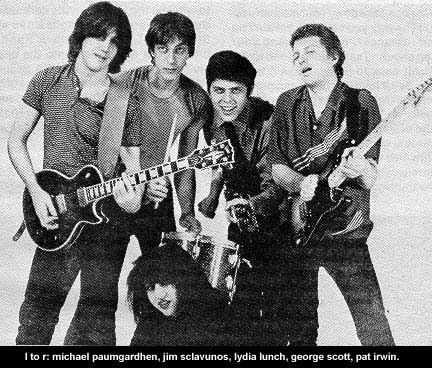 Contrasting the image of Lunch with her music, most notably Teenage Jesus and the Jerks, one can't help but feel disconnected. That's not to say that the book fails in any way. Rather, it helps introduce new layers of intrigue to the near-mythological status of New York City during those brief four years. 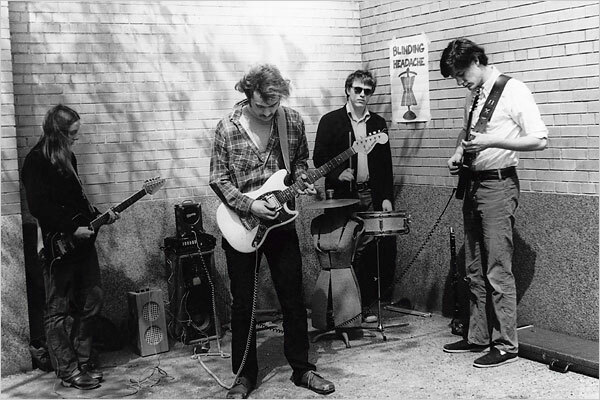 James Chance, in contrast, stands on a stage, all awkward limbs and brilliance, and suddenly the cliché of a picture and a thousand words seems apt, although a little more abstract. Instead, the images work to provide the audience with, if not words, at least the auditory cues of a thousand eager yelps such as in "Contort Yourself" or a thousand screeches of the trumpet in "Designed to Kill," or a thousand incomprehensible time signatures and key changes. And although the photographs are the selling point for the book, the numerous interviews collected to form the oral history are what truly set the book apart. The narrative, collected from oral history and interviews conducted by Moore and Coley, works. 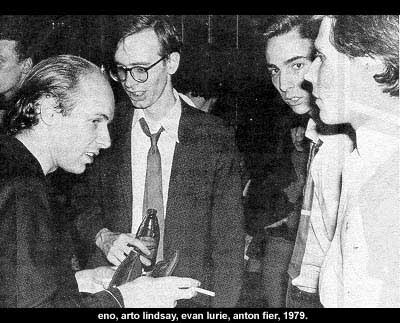 Not surprisingly, there is a lot to say about the brief four years, namely in regards to the cultural luminaries who were entwined within the scene and the effects of the musical movement. There would be no Jean-Michel Basquiat without No Wave. There would be no Jim Jarmusch without No Wave. 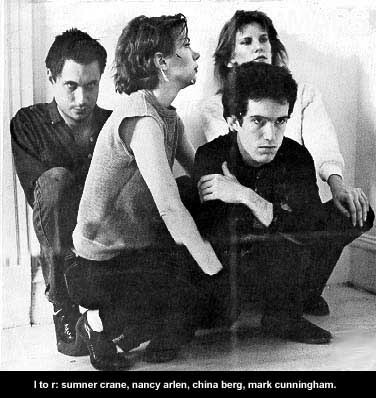 There would be no Talking Heads or Sonic Youth without No Wave. 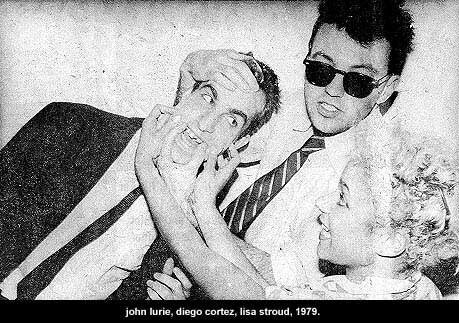 Moore and Coley are insistent upon letting the reader formulate the connections to the many bands, artists, and filmmakers that are idolized in contemporary culture. What one gets from the book is not just a look back but an urgent declaration of a time that was a cataclysmic force of imagination, both then and now.